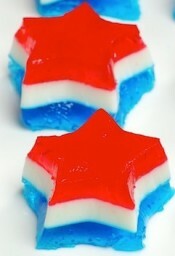 According to Google Trends, the top searched “red white and blue” item during the 4th of July holiday was “Jello shots”. Additionally, the fourth most searched recipe was also “Jello shots”. While 4’th of July is a wonderful holiday where friends and family come together to celebrate, let’s not forget that it is also a time where alcohol consumption is a part of most social gatherings. This is particularly problematic if you are underage and are just trying to have a good time during the holidays. We are picking on Jello shots partly in jest but we also realize that it represents one of our society’s playful ways of sweeping the alcohol consumption problem under the carpet. Let’s be honest: people are not searching Google to find the tastiest Jello recipe. They are searching for which alcohol combination is best and when in the cooking process to add the alcohol without ruining its potency. What people don’t realize is that Jello shot consumption is high among older adolescents. Based on a study performed by Boston University, using a national sample of kids ages 16 to 20, they concluded that “jello shot use is prevalent among youth, representing a substantial portion of their alcohol intake.” In fact, of the population they interviewed, 21% had consumed Jello shots in the last 30-days, and this study was not even done during a holiday season. That same population indicated that 14.5% of their alcohol consumption came from Jello shots. No, we are not starting a campaign against Jello. But we do wish to raise awareness to the growing issue of alcohol consumption in our population and especially in adolescents.